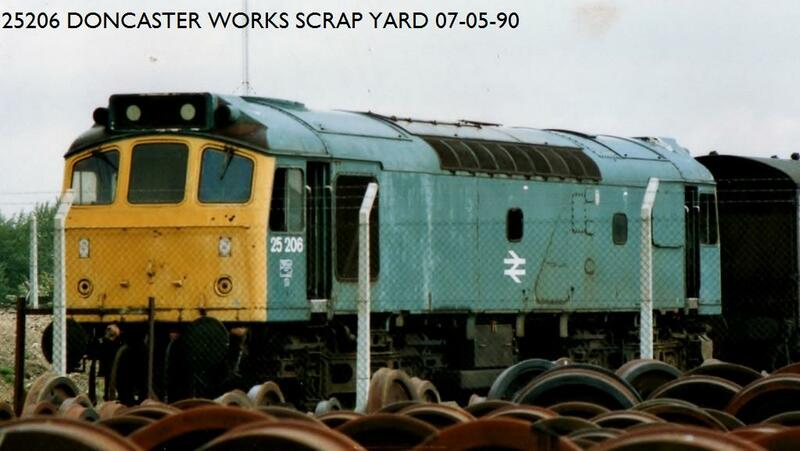 I recently discovered that I have quite a collection of Class 25 photos from the 1980s and was surprised to find that here on RMWeb there isn't a dedicated thread for this, once numerous class of BR diesel locos. 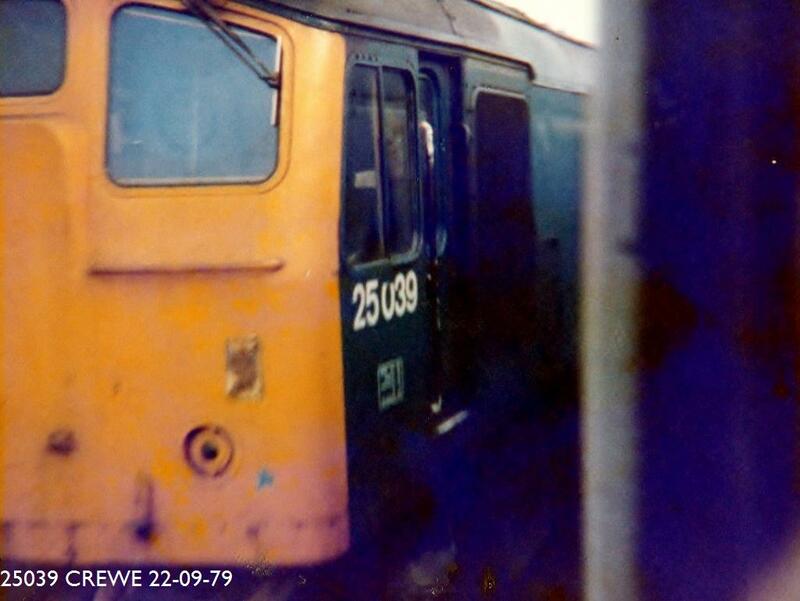 I've always had a fondness for 25s and they seem to be popular with modellers. Indeed, Bachmann have announced a re-tooled 25/1 and Heljan have announced a new 00 25/3. I would like to invite all to join in with their own photos including preserved examples. 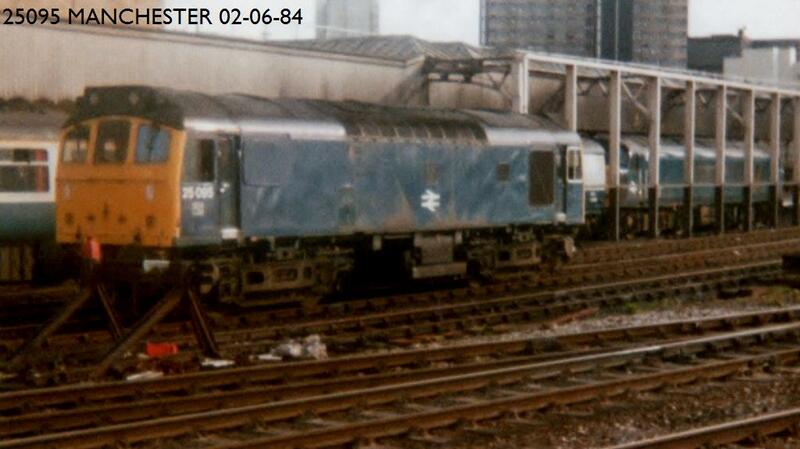 I'll start off the thread with a few 25s pics taken at Chester in 1984. How about a northbound LE at Abbotswood? 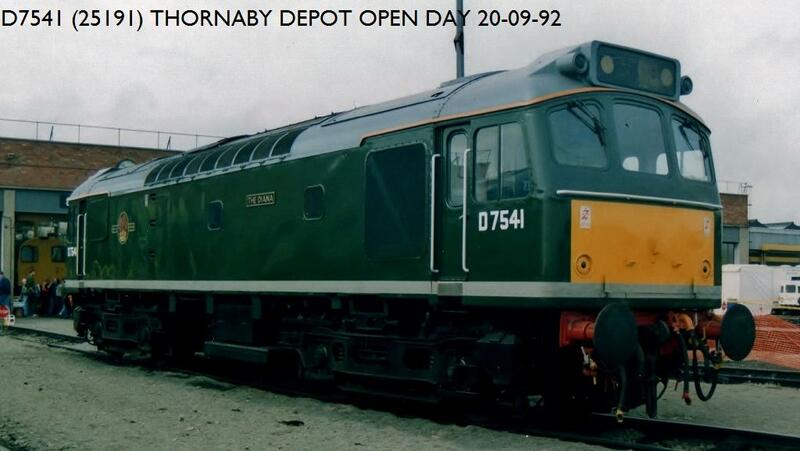 And here is 7671 34 years later at Butterley! 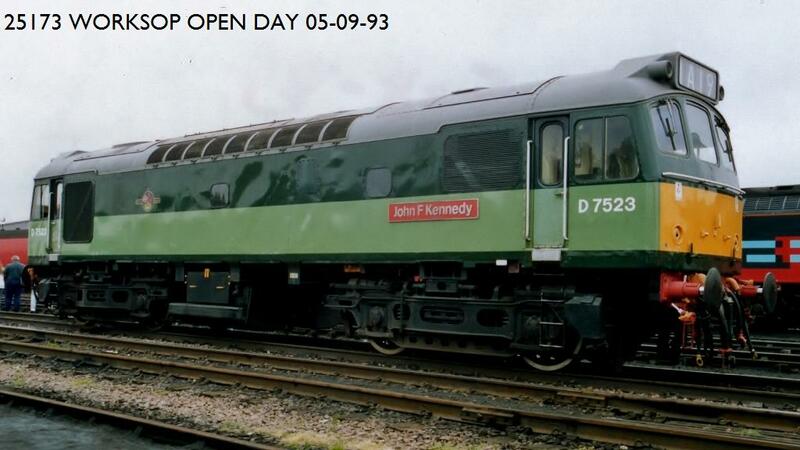 Why are people obsessed with putting headlights on locos that never had them? 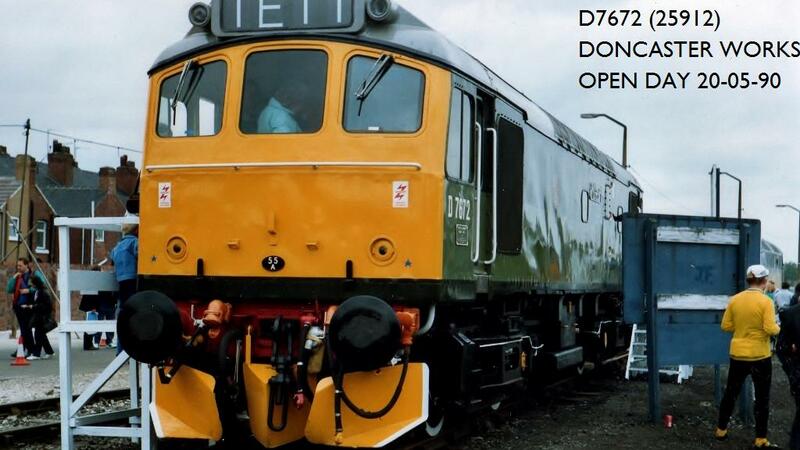 Its not that you can actually see much with them and preserved railways don't need advance warnings to lineside staff. Note the small black circle located centrally low down on the cab front. 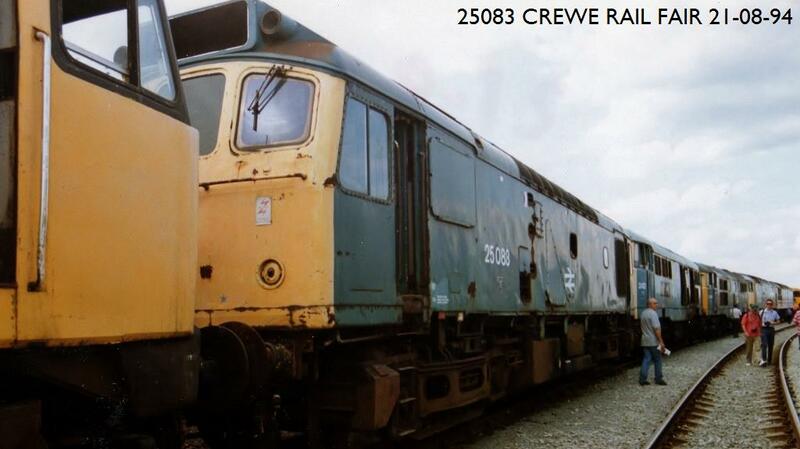 This was a fitting for a radio telephone cable wire to enable the driver and guard to communicate when the loco was used to haul Royal trains, 25245 was a regular on these duties. 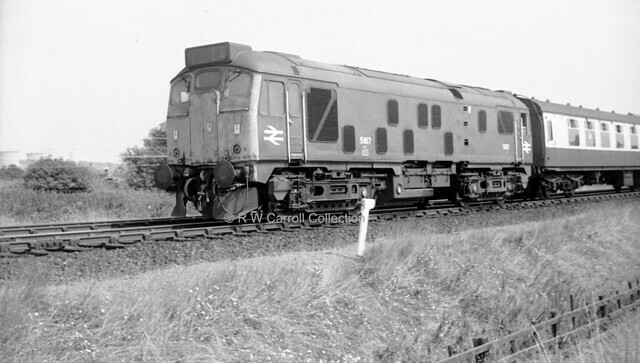 25199 Rugeley Power Station oil train from Immingham they mixed the oll with coal slack in winter.The panels inside the cab were those like hearing test booths lots of tiny holes ! Shunting at Hartlebury. The brick works chimney is a prominent local landmark. 25271 perhaps? 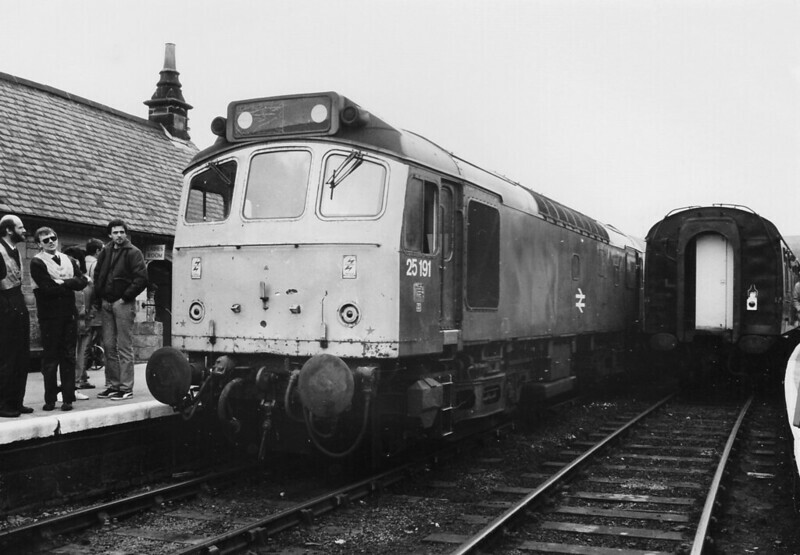 A class 25, believed to be 262, stands in Leighton Buzzard station, on an overhead wiring train. Unfortunately I don't know the exact date, but it is sometime around summer 1979. 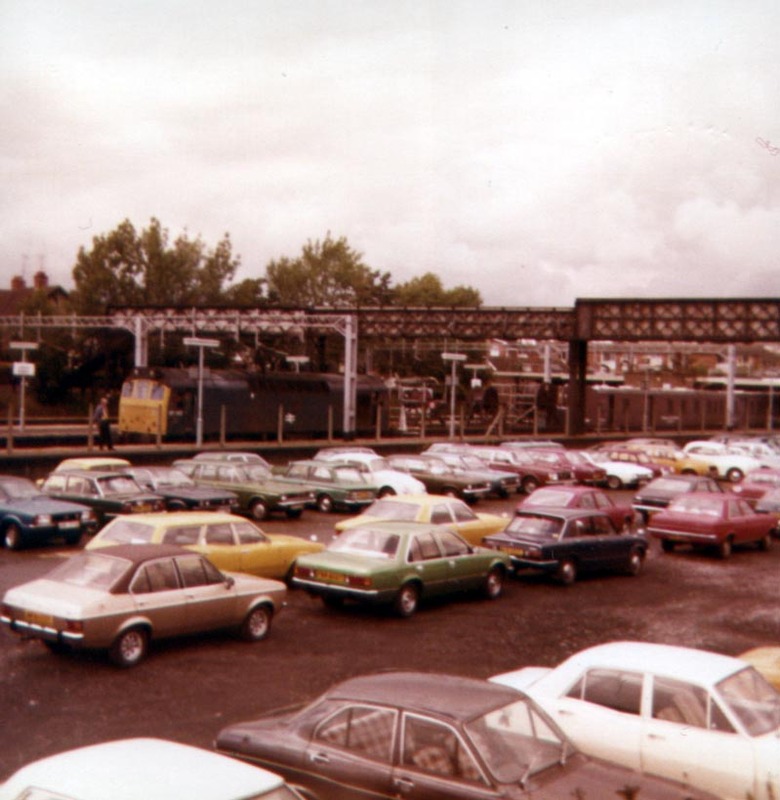 The photo was taken from the fence that bordered the car park, roughly where the shed stood. The train stands in platfrom 4, on the Up Slow, underneath the lattice work iron bridge which acts as a footpath connecting Linslade. Parts of this bridge date back to the 1880's at least, and possibly earlier. The decks were raised in the 1960's to provide clearance for the OHL, then being put up. Some of the bridge decks came from Sears Crossing, a couple of miles south, and very close to where Mr Biggs and his thugs did their job in 1963. The columns supporting it were cast by ISCA Foundry, Newport, who were responsible for many large railway castings such as water cranes,and are probably the only surviving original parts of the bridge, and date from when the railway was widened to 4 tracks in the 1880's, if not earlier. The bridge is currently (2019) closed due to corroded ironwork, and is believed to be not long for this world. Just look at those cars! Most are classics now, but I doubt if more than a handful have survived. 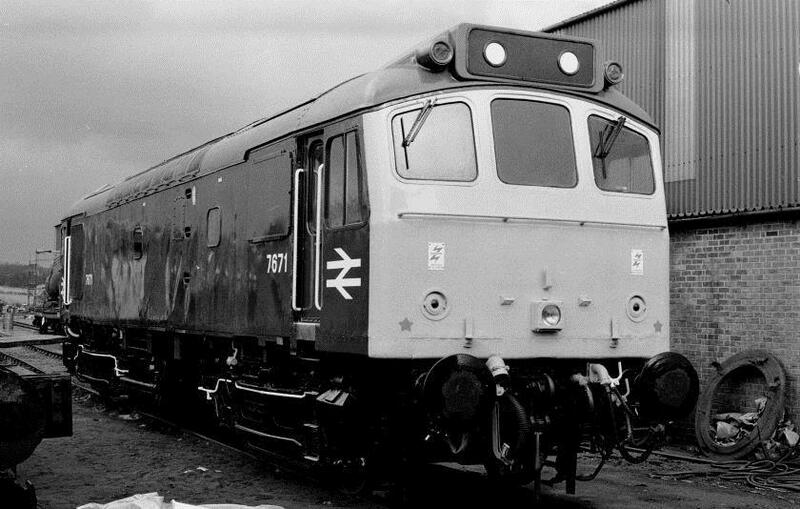 2nd January 1979, 25 178 is seen stabled on Bletchley TMD. 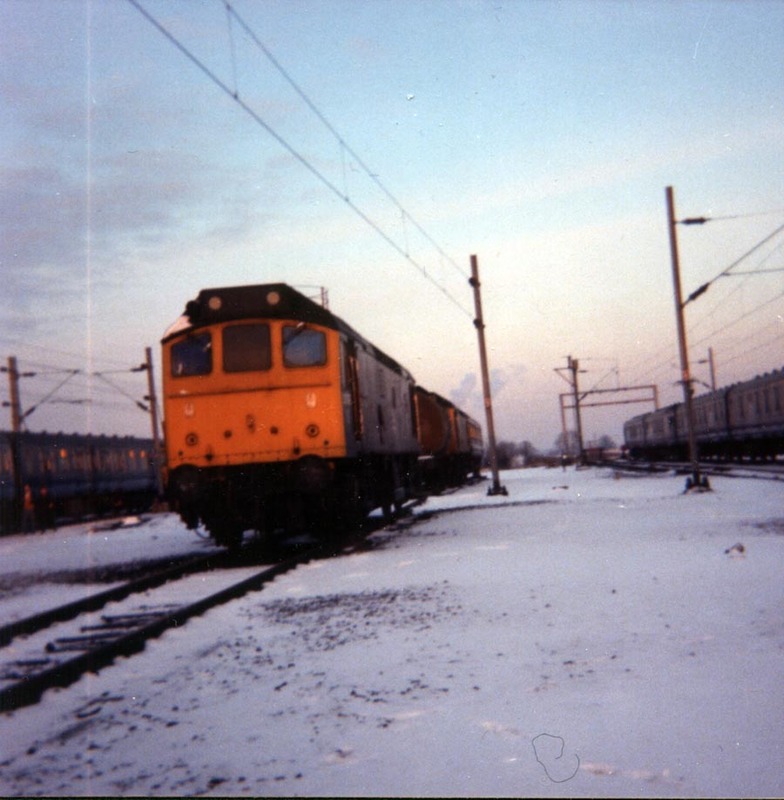 There had been a very cold snap, with a fair amount of snow, and there had been problems with class 310 EMUs icing up. Dad went to Bletchley to have a look at some units stabled there, and took me with him. A pair of 25's hustle the Forders Sidings-Kings Cross fletliner, the "brickies", through Leighton Buzzard. With around 1200 tons of bricks in tow, the 25's will be working hard all the way from gaining the main line at Bletchley, to Tring summit. They would pass LB at around 7.20pm, doing between 50 & 60mph, and making a good racket. On occasion, there would be sparks & flames coming from the exhausts. The empty space in the foreground are the old Dunstable branch platforms. 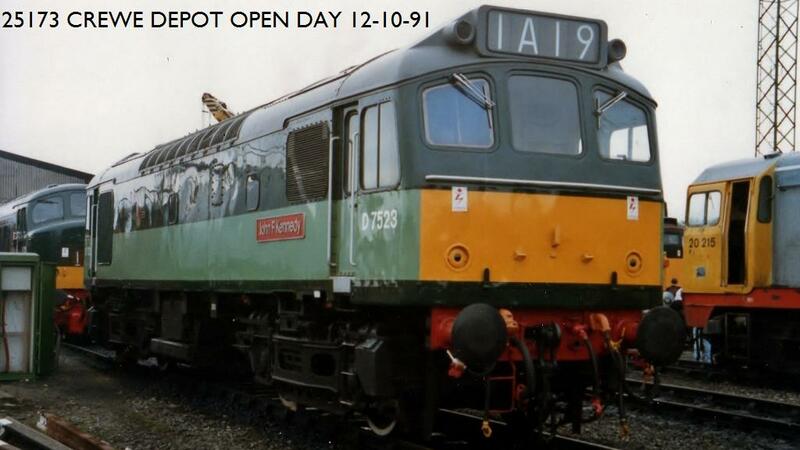 First one looks like 076, on the Tring cements. Here's 25191 again, this time at Grosmont on 23/04/1988, during the NYMR diesel gala weekend, wearing a nice scruffy shade of genuine BR blue. The loco had been on the NYMR for a few months, and remained almost continually in traffic until stopped in 2000. It was stored in the headshunt at the end of Grosmont MPD, and barely turned a wheel until moving to the SDR at Buckfastleigh in about 2015. 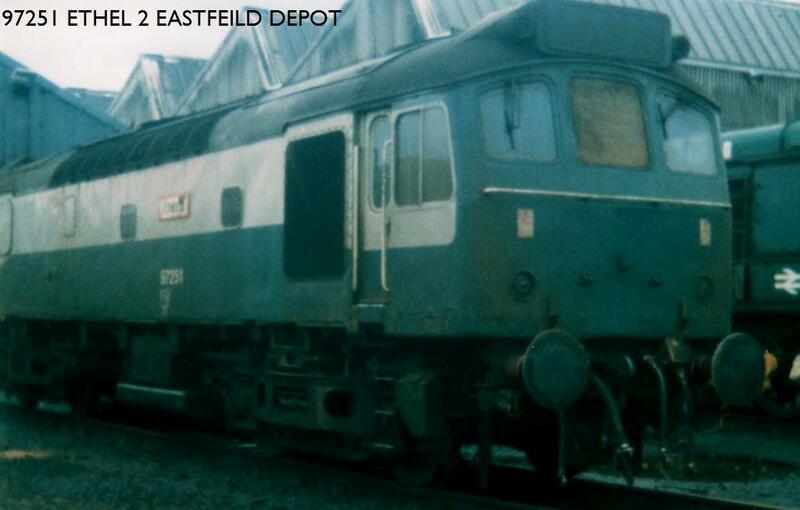 It is currently being restored, and hopefully isn't far off returning to service. I wonder what the two chaps at left are saying? 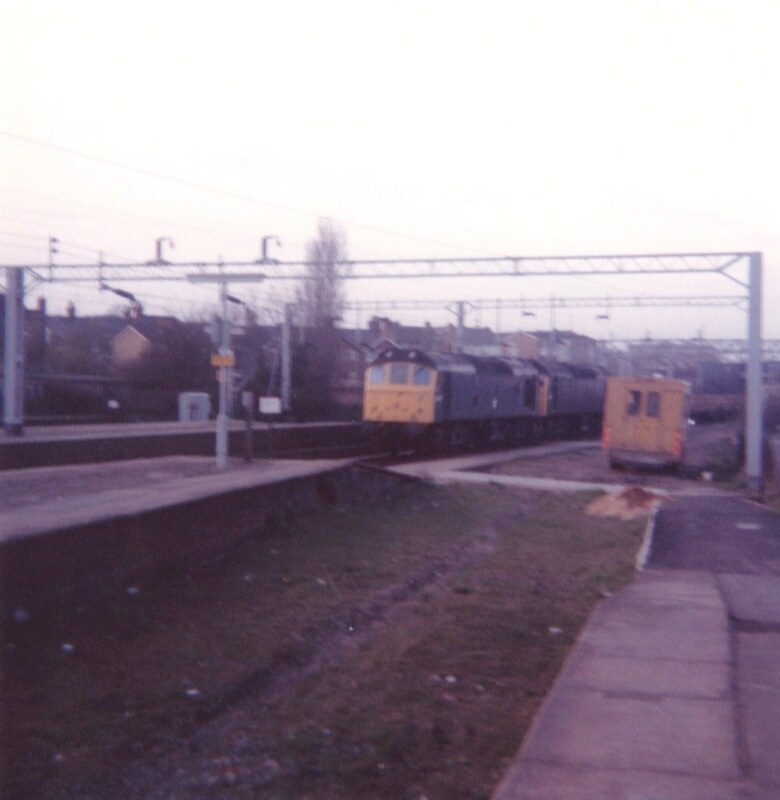 25266 & 278 at Carlisle. 3 May 86. I can’t see much evidence in these photos of the beige fibreglass semi-translucent roofs that seem to be omnipresent on models nowadays, and from memory they were blue (at least during the last 10 years of 25s being around, which is what I can remember). Just to double-check, does anyone have any good shots from above, especially when nearly ex-works. Were the roofs painted? Seems like they mostly come out to play only when the weather's dull! Thanks to everyone for the enthusiastic response to this thread. Some great photos and comments. It's good to see that the 25s are still popular with modellers and enthusiasts. 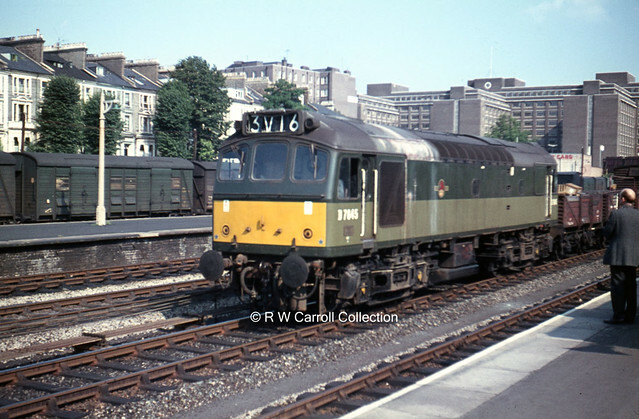 Looking at all the photos made me think that I couldn't imagine a 25 painted in any of the later liveries that other BR locos received. 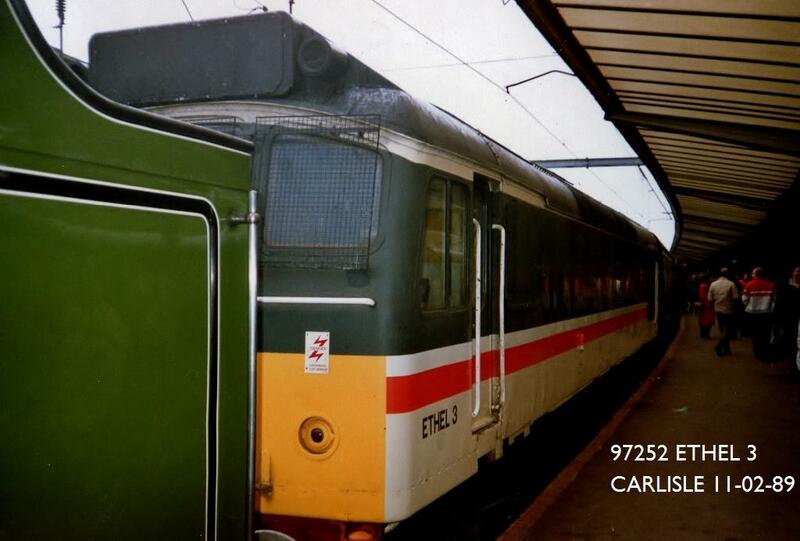 For such a numerous class, 25s were not a common sight in the North East in the 1980s, however, a trip to Carlisle would usually produce a sighting or two. LocationYO8 post code, in the Lower Derwent Valley. 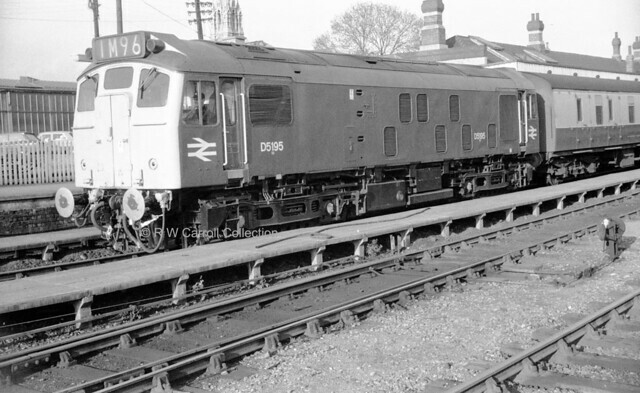 Re 25051 and your first drive, I assume you weren't responsible for providing the modification to the cab side? 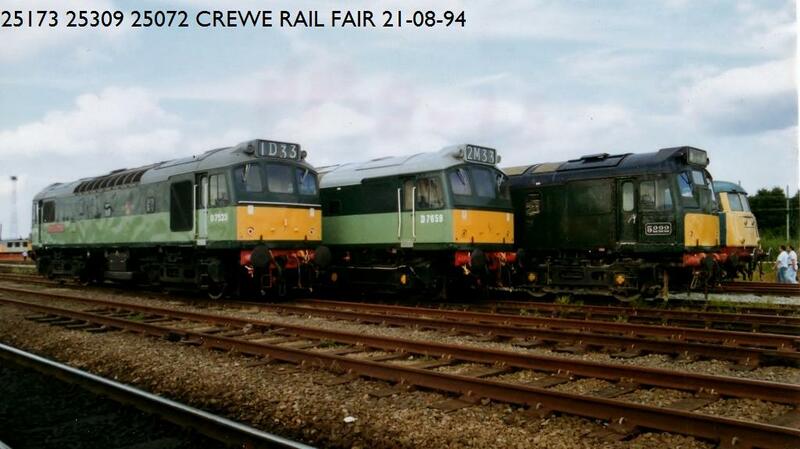 There were always plenty at Warrington - 25323 and a another - salt traffic off Winsford perhaps?